While most of us are familiar with fitness trackers and other commonplace smart devices, true innovation is sitting (mostly unnoticed by the ordinary consumer) where the Internet of Things (IoT) and healthcare meet. Healthcare has a lot to gain from the wearable and smart device industry — and in turn, it might be the medical industry that ensures the success of these devices. From Bluetooth-enabled hearing aids to robotic caretakers, there are some IoT healthcare innovations we would have relegated to science fiction only a decade ago. Smart devices and wearables benefit both patients and doctors. Doctors are using various medical apps to track their patients’ ongoing health concerns. Meanwhile, patients are able to receive recommendations and new advice as their treatment plan progresses. Doctors immediately told the patient to go to the clinic. Only 15 minutes after arriving, the patient collapsed from a heart attack. Luckily, doctors were ready and able to help. Other patients with heart disease continue to benefit from the technology, which is becoming more advanced every day. Not all smart medical devices are about saving lives. Some are about making the lives of patients, especially those with chronic illness or disabilities, easier. Diabetes is one condition that inspires the development of many smart healthcare devices. These connected devices don’t only help patients monitor their condition, but also help with preventative healthcare. iHealth Smart, for example, is a Bluetooth-enabled device that helps users track their glucose levels. It comes with a paired app to help them understand and keep track of the data. Connected versions of everyday items also play role. Siren Smart Socks, for example, use temperature monitoring to help prevent foot ulcers — a complication many diabetic patients face. The socks send this data to a companion app, which will notify users as to whether they should do a visual foot check, change their shores, reduce physical activity or visit a doctor. Some connected healthcare devices add an element of convenience to patients’ lives. This is the aim of the Widex COM-DEX, a Bluetooth-enabled hearing aid How Do Hearing Aids Work? A Simple Overview How Do Hearing Aids Work? A Simple Overview If you think hearing aids are nothing more than audio amplifiers, you'll be surprised to know that you're wrong. Here's how this magical bit of technology actually works! Read More that users can adjust and customize with an app. This connection with the user’s phone also brings other benefits, such as the ability to take calls or listen to music through the hearing aid. “I chose a smart hearing aid mainly because of its size and style. 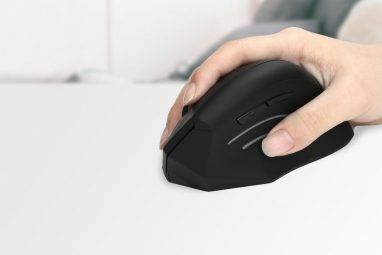 I also liked the fact that I could control it from my phone via the COM-DEX,” a user of the device, Amy Bell, told MakeUseOf. Bell requires a hearing aid in one ear due to a diving accident that damaged her cochlear hair cells. This makes her sensitive to high-pitched noises, while she cannot properly hear low or bass tones. “With the COM-DEX connected to my hearing aid and phone I’m able to hear phone calls through my hearing aid as well as play music. Bigger or older models don’t come with this feature,” she says. Google Glass Google Glass Is Back to Make Your Job Easier Google Glass Is Back to Make Your Job Easier Google Glass is back, and with a much more sensible target audience than before. The consumer edition is dead in the water, but Google is now focusing its attention on businesses. Read More might be a commercial failure, but it found its niche by providing augmented reality (AR) glasses for factory workers. But factories aren’t the only places using this technology. In fact, AR-assisted surgery is already a reality. Other companies are also creating augmented reality tools for surgery, such as Augmedics. The company is developing an AR headset dubbed The Vizor, which will allow doctors to view a patient’s CT scan during surgery. Augmedics believes that using AR headsets could allow for minimally invasive spinal surgery because the technology reduces the need for large incisions. Meanwhile, another company called Scopis has combined the Microsoft HoloLens with their surgery navigation technology. By doing this, they have created a system that provides AR guidance for surgeons on numerous procedures. With connected devices comes a slew of data, allowing researchers to analyze trends and risks for patients. While it’s not a precise science yet, more companies are implementing data solutions that can help with preventative healthcare. PwC has introduced a predictive engine named Bodylogical [No Longer Available] which processes patient data to help give health insights into potential health trends and problems in the future. Consumer devices can then use the engine to provide users with possible impacts of their decisions on their health. This includes sending users notifications on their smartphones to remind them of tasks or interventions. Meanwhile, connected devices are also powerful tools for the early detection of diseases and health issues. Cyrcadia Health, for example, has a device called the iTBra, that assists in the early detection of breast cancer. The smart breast patches use predictive analytics software and algorithms to identify potential abnormalities in breast tissue. This data is sent to Cyrcadia Health for analysis, with results sent to the user and their doctors. Remember those science fiction scenarios we mentioned? Well, this new technology is definitely something you might expect from a futuristic novel. However, robotic healthcare assistants already exist. Smart sensors are well-known as a way that the elderly can maintain independence in their homes. But IBM and Rice University are taking it a step further with the Multi-Purpose Eldercare Robot Assistant (IBM MERA). The technology is still in its early stages, but a prototype was up and running by the end of 2016. Research by PwC Global has noted that AI and robots 10 Home Robots You Need to See to Believe 10 Home Robots You Need to See to Believe It will probably be many years before you can buy a robot with the smarts and functionality of Rosie from "The Jetsons." Nonetheless, today’s robots are moving in that direction. Read More are playing an increasingly important role in the healthcare sector. More surprisingly, the firm also found that the public are ready to accept these advances. Their survey revealed that consumers around the world are ready to engage with new technology designed to enable health and wellness. Another robotic solution named Giraff has helps those with chronic illnesses. 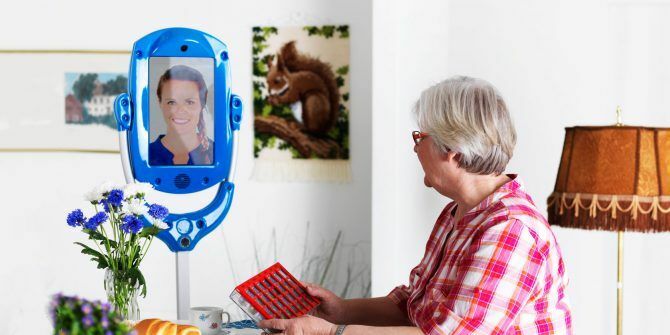 The robot facilitates virtual visits for people confined to their homes or beds. It does this by providing patients with a visual feed and control over the robot’s movements. Meanwhile the robot is also useful in the patient’s everyday life, where it can monitor their health and stream consultations with healthcare professionals. Patients can also interact with their loved ones through the telecare robot. The impact of connected devices on healthcare isn’t one-sided — in fact, the healthcare industry is one of the major drivers of innovation and production in the smart device industry. This is especially prevalent when it comes to wearables. “The global wearable devices market continues to gain momentum from the rapid adoption of these devices among patients,” the company said in a report. 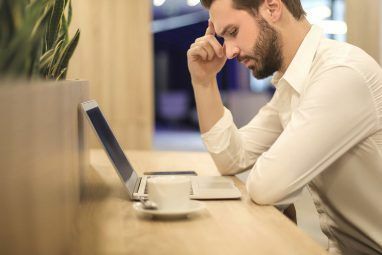 It also notes that the increased concerns over healthcare affordability are driving greater interest in using connected devices to manage chronic conditions. Data from Statista shows that between 2015 and 2016, sales revenue from healthcare wearable devices tripled. By the end of 2017, they anticipate the revenue will increase another 2.5 times from 2016. 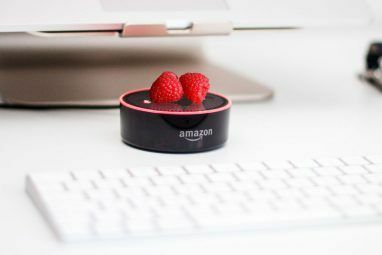 So while healthcare is seeing immense improvements thanks to the Internet of Things, the connected device industry is also significantly benefiting from its connections to healthcare. There is one major elephant in the room when it comes to the Internet of Things and healthcare: data privacy. Smart devices come with security and privacy concerns 5 New Gadgets That Present New Security & Privacy Issues 5 New Gadgets That Present New Security & Privacy Issues Why does our security and privacy get worse with every new technological service or gadget that's released? Here are five new technologies that are posing a threat to your security and privacy right now. Read More . Nowadays, hackers are continually finding new ways to exploit this technology to gather data on users 5 Ways Your Information Is Being Exploited Every Day 5 Ways Your Information Is Being Exploited Every Day You may not be too worried about having your rights infringed, or you might be very concerned that you're being tracked. Whatever the case, here's how your information is being exploited right now. Read More . This is no different when it comes to IoT in healthcare. Pacemakers, in particular, have been in the headlines for the discovery of major vulnerabilities in security. IBM’s Milan Patel noted on the company’s Security Intelligence site that these devices carry security risks, many of which consumers are unaware of. “The growing list of cybersecurity vulnerabilities Is Your Smart Home at Risk From Internet of Things Vulnerabilities? Is Your Smart Home at Risk From Internet of Things Vulnerabilities? Is the Internet of Things safe? You would hope so, but a recent study has highlighted that security concerns raised several years ago have yet to be addressed. You smart home could be at risk. Read More in health and fitness devices pose challenging risks to patients whose privacy or health management depends on the proper functioning of these instruments,” Patel said in his post. With the key role that healthcare plays in the development of the IoT industry, as well as the public’s continual search for ways to protect their health, the smart healthcare device revolution shows no sign of slowing down. Many of our wildest dreams are coming true. But you can expect innovations like healthcare robotics and AI to become more advanced and reliable. Smart ambulances are under development in multiple regions. The emergency vehicles will transmit real-time information between emergency centers and responders. This will speed up the process of providing medical care. Meanwhile, various companies are developing smart pills that act as ingestible sensors that track how medication is interacting with the patient. There is even news of smart contact lenses. What smart health devices are you looking forward to? Do you use any currently? Let us know in the comments below! Explore more about: Assistive Technology, Health, Home Automation, Robotics, Wearable Technology. "5 Ways the Internet of Things Is Revolutionizing Healthcare"
There is one small problem with IoT and that is SECURITY. If someone hacks my Smart DoorLock and burglarizes my house or if someone hacks my medical account, it is a royal PITA but it can be survived. However, if someone hacks my Smart pacemaker or my implanted Smart medication pump, that is literally a matter of life and death. Smart medical devices present a paradox. On the one hand, they greatly enhance medical care and can save many lives. On the other, they offer another attack vector for the hackers endangering the lives of every Smart device user. In spite of what everyone is trying hard to believe, we do not live in an ethical or moral world. Hackers will compromise the medical devices 'just because they can'. Smart devices can be hacked as a political statement or for political assassinations. Any leader with an implanted Smart device is a potential target of his/her opponents. It's very true that there are many security concerns with IoT devices in healthcare, as well as in our homes. Luckily manufacturers are becoming aware of this and dealing with it more.
" Luckily manufacturers are becoming aware of this and dealing with it more. " "I don't think most hackers though would target specific individuals' IoT medical devices"
You mean something like 'security by obscurity'? Maybe a regular run of the mill hacker would not bother with Joe Sixpack's pacemaker. However, messing with a political leader's pacemaker or an insulin pump would be a perfect, untraceable tool for a political assassin or a terrorist. Imagine how long Donald Trump or Osama bin Ladin would have lasted if they has Smart pacemakers.